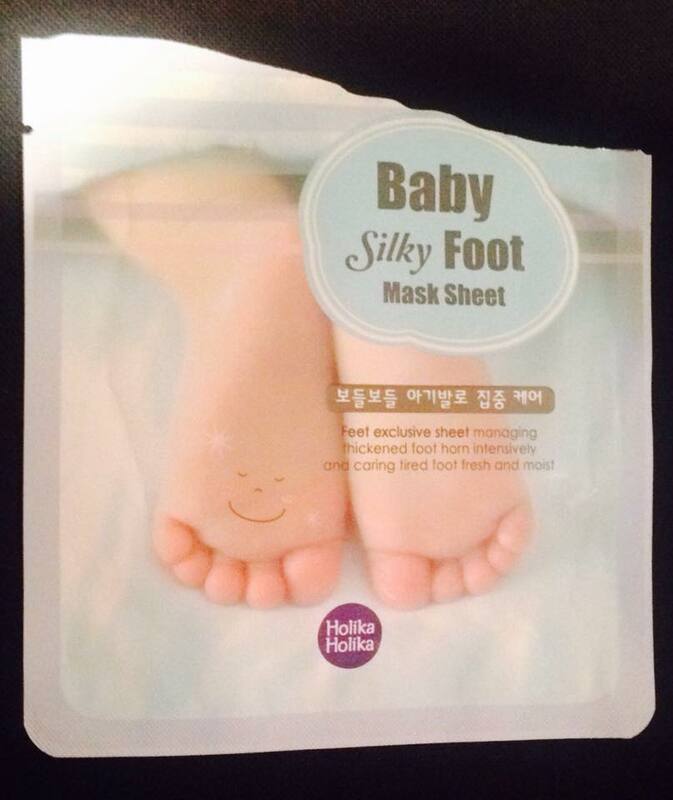 Holika Holika Baby Silky Foot! I got my Holika Holika Baby Silky in my mega RoseRose haul, all the way back in summer, but never got round to trying it out until now. The HolikaHolika Baby Foot “one shot peeling mask”, and the TonyMoly Shiny Foot Peeling Liquid are the two masks to go for if you’re looking for a fun snake skin shedding experience! However these were a fun different type of mask to try out, so onto the review! 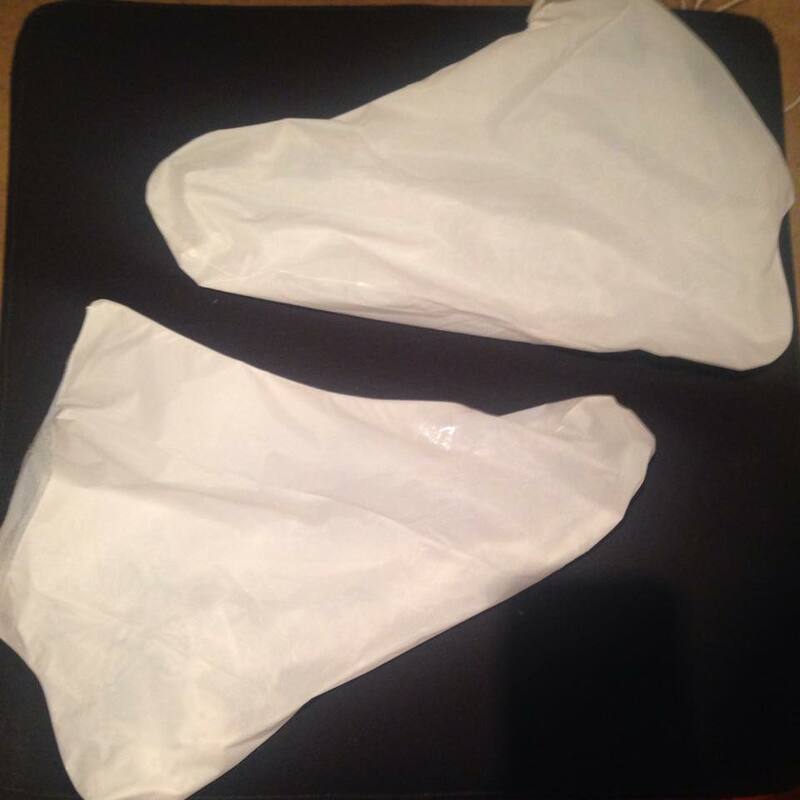 These come in a typical sheet mask pack, once you open the packet you’ll see the booties inside. You’ll have to divide them up into the two separate boots, and carefully place your feet inside. There was no discernible scent to the essence, and there was plenty to cover my whole foot. The essence itself is thin and has a water-like consistency. The booties fit my feet fine, a British size 5 European size 36 and US size 7.5, but those with bigger feet may find its slightly too small. This product is for one use only, so throw the sheet away once used. My feet did feel noticeably softer after wearing the mask sheet, but seeing as how it’s winter they’re not really going to be out on display. Fortunately I don’t suffer from callouses, thank you office job, so I can’t comment on any improvement there afterwards. I would recommend this as part of a fun spa day with friends, its quite amusing to walk around in the little booties. 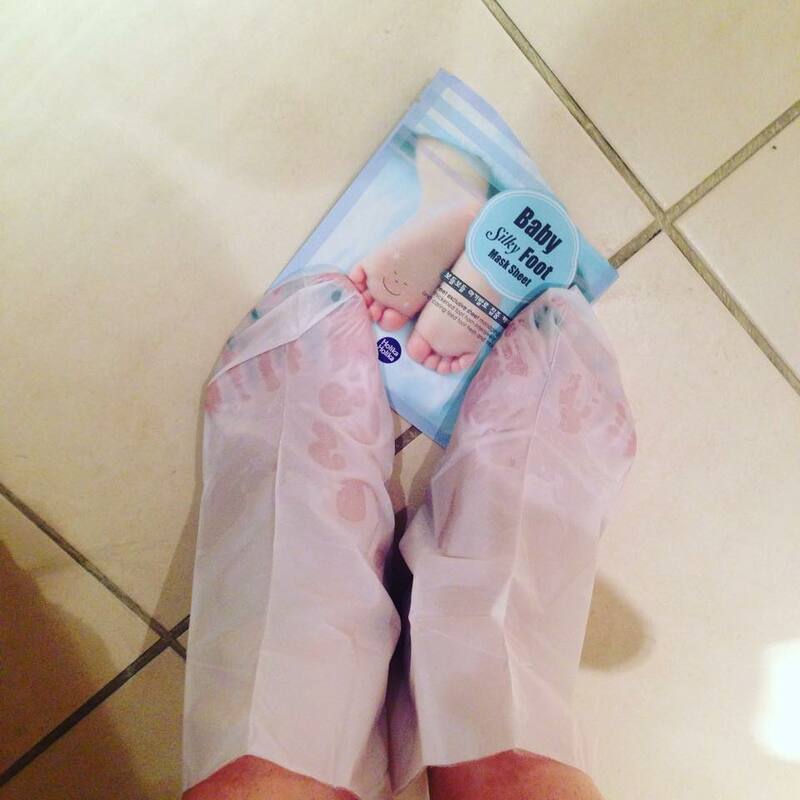 Or if you want to give your feet some extra love. I know I’m always focused on my hands and face so my feet can be a little neglected. I would rate this a 3/5. It’s fun to use once in a while, but I wouldn’t feel it’s absence if it disappeared from my life. Holika Holika, Review, Sheet Mask. Bookmark.